Prominent & Leading Manufacturer from Mumbai, we offer elastic adhesive bandage, crepe bandages and adhesive tape plaster. 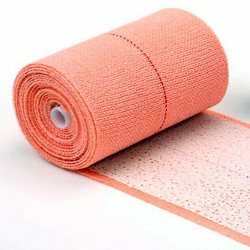 We are counted among the leading manufacturers, suppliers and exporters of premium quality Elastic Adhesive Bandage. Offered bandages are tested on various parameters by our quality controllers. Ideal for small injuries, these bandages are manufactured under strict supervision of experts. 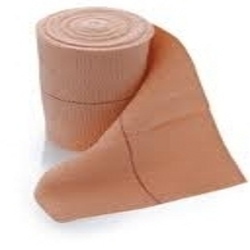 Moreover, our offered bandages are made available at market leading prices. Backed by our efficient team, we are engaged in manufacturing, supplying and exporting premium quality Crepe Bandages. These bandages are manufactured in our hygienic manufacturing unit using best quality raw materials. Available in various dimensions, offered bandages are used for sprains and muscle injuries. Cotton * Crepe Bandage B.P. Enriched with rich industry experience, we have come up with premium quality Adhesive Tape Plaster at a nominal price. Manufactured in accordance with pharmaceutical industry standards under the strict supervision on experts, these plasters are highly demanded across the clientele. 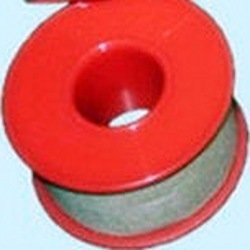 Offered products are praised for their high tearing strength and remarkable adhesion. 9mtrs. X 1", 2", 3", 4"
10mtrs. X 1", 2", 3", 4"
Looking for Medical Bandages ? Chlorhexidine & Silver Sulphadiazine Tulle Dressing B.P.